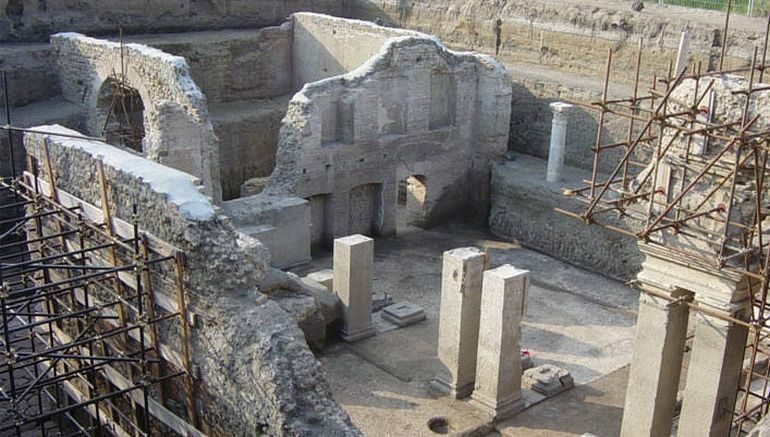 Tradition has it that the so-called ‘Villa of Augustus’, also known as the Dionysiac Villa in Somma Vesuviana, near Nola (an ancient Campanian town in Naples) was the place where Emperor Augustus breathed his last, circa 14 AD. Now while from the scholarly perspective this claim is debatable, there is no doubt about the archaeological eminence of the site, as evidenced by a recent discovery. 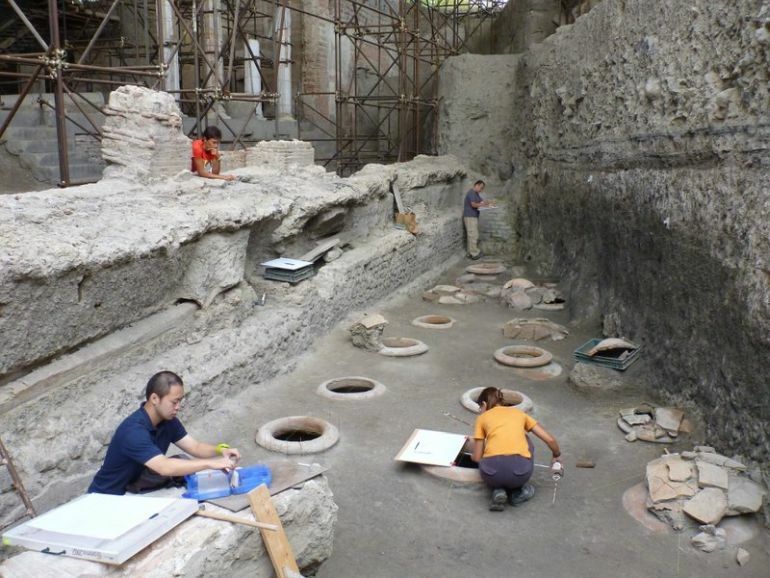 To that end, researchers as part of a collaborative effort from Benincasa University in Naples and University of Tokyo, have found a massive cistern within the complex that boasts almost 300 sq m (or 3,200 sq ft) of area, with its impressive 30 m length and 10 m width. 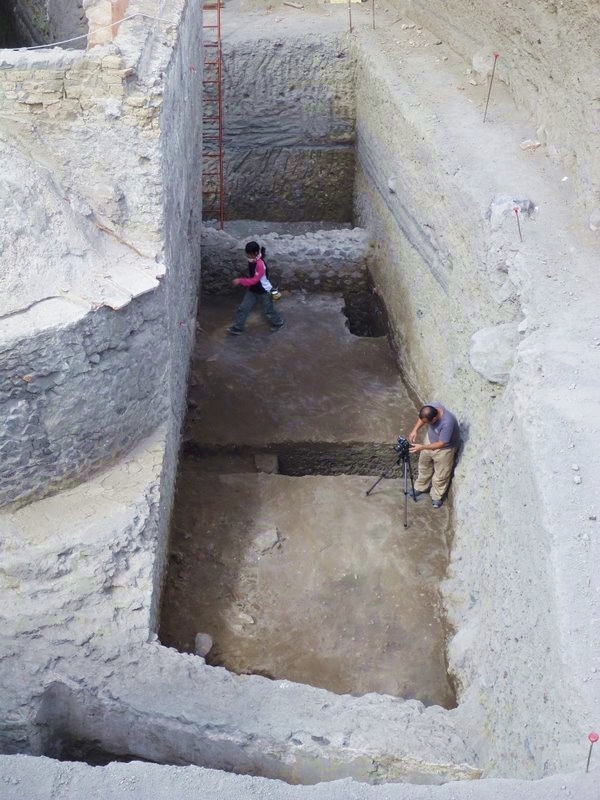 According to archaeologist Antonio De Simone, the cistern structure covered by dual walkways, was built to salvage water from the nearby mountains. The collected water in turn was also used to supply the proximate farmland. Interestingly enough, in spite of the mystery of its ownership, the villa in itself was spared from the wrath of Vesuvius’ eruption in 79 AD (though there are samples of volcanic deposits within the complex). As a result the villa was possibly being continuously used as a large farmhouse (aided by the functioning cistern), until it was finally destroyed by the baleful eruption of Vesuvius in 472 AD. Now the Dionysiac Villa in Somma Vesuviana was so named because of its ‘stash’ of various intricately crafted statues, including one that depicts a young Dionysus with panther. These sculptural feats are complemented by a flurry of frescoes, like the famed ‘Nereids and Tritons‘. And given the huge dimensions of the domus, along with its founding date reverting to circa 1st century AD, has led to the conjecture that this villa was the very same one referred to by Tacitus as ‘apud urbem Nolam’ in his Annales.